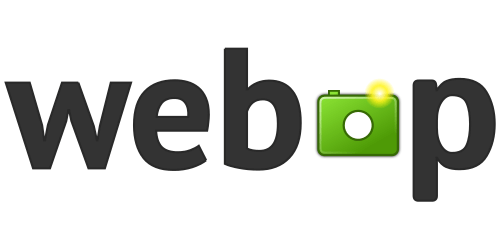 Google’s WebP image format to be supported by Firefox and Edge. Apple’s Safari browser is the last without WebP support. WebP is an image compression format that was first released in 2010 and it was offered as an alternative to the PNG, JPEG, and GIF. It supports good compression, transparency, and animations, and its early benchmarks look promising – WebP can cut down the size of PNG files up to 45 percent while the GIF’s can be reduced up to 64 percent. This lossy and lossless image compression was born as a derivate project from Google’s work on the VP8 video format. Initially, the format was supported only by Google’s Chrome browser. Gmail, Google Search, Picasa, Google Play and other major Google sites were modified to use WebP and defaulted to existing image formats if users’ browsers didn’t support it. Opera and Pale Moon also adopted it after that but the news is that this week, the Microsoft’s Edge browser released support for WebP as well. Firefox is expected to add it next year while the Apple’s browser is the last without WebP support so far. Two years ago, in 2016, both Mozilla and Apple showed initial interest in supporting the WebP format but, after some internal benchmark tests, they backed off. Mozilla’s engineers decided that the WebP format didn’t show any significant advantage over the newly optimized JPEG library that launched at that time. Apple initially added WebP support in iOS 10 and MacOS Sierra, but later decided to replace it with HEIF, an image format based on the HEVC video compression standard (also known as H.265 and MPEG-H Part 2). Back then, many considered the rejections of Mozilla and Apple as the end of WebP, as without the support from major browsers and OS vendors, no image format would be able to make it. This year, however, out of nowhere, WebP format came back to life with the latest version of the Edge Browser that was launched this week. The new Windows 10 October 2018 Update came with a full support of WebP in build 17763+. Firefox for desktop and Android are expected to have WebP support in the first half of 2019. Firefox for iOS, however, won’t support it since it works on Safari’s WebKit engine, not on Mozilla’s Gecko. Apple’s Safari browser is, so far, the last major browser, which has not announced any plans to implement WebP yet. But with support from almost all other major browsers, as well as popular image editing software, the WebP format sees a bright future.